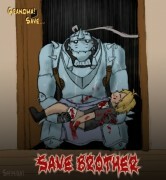 Fullmetal Alchemist: What's Up ? Shortie!!! Minitokyo »	Fullmetal Alchemist Indy Art » Fullmetal Alchemist: What's Up ? Shortie!!! No much to said, recently i got some personal thing attend do! then i just used my spare time to vector it a bit by a bit! 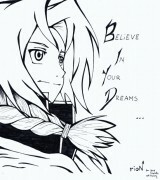 about the Transmutation Circle i didn't draw it at all! actually i wanna draw Transmutation Circle myself, but seen already exist on MT, i just shift it to the top corner side! thank to Rex hope it good enough! anyways, comment are appreicate always! Reason: this is frickin hilarious lol! enough said! Hehe, a really awesome vector ^__^ . The characters look neat and the poses are funny. Nice and clean as usual :) . nice vector, the charas face expression is good. and the shading is ok.
Wow! A good vector. Colors are well-matched. Indeed you are good in vectoring. A fav for sure. you earned it. keep it up then. Cya around. this is really awesome vector ! that colour is really cooperate !!!! nice job !! 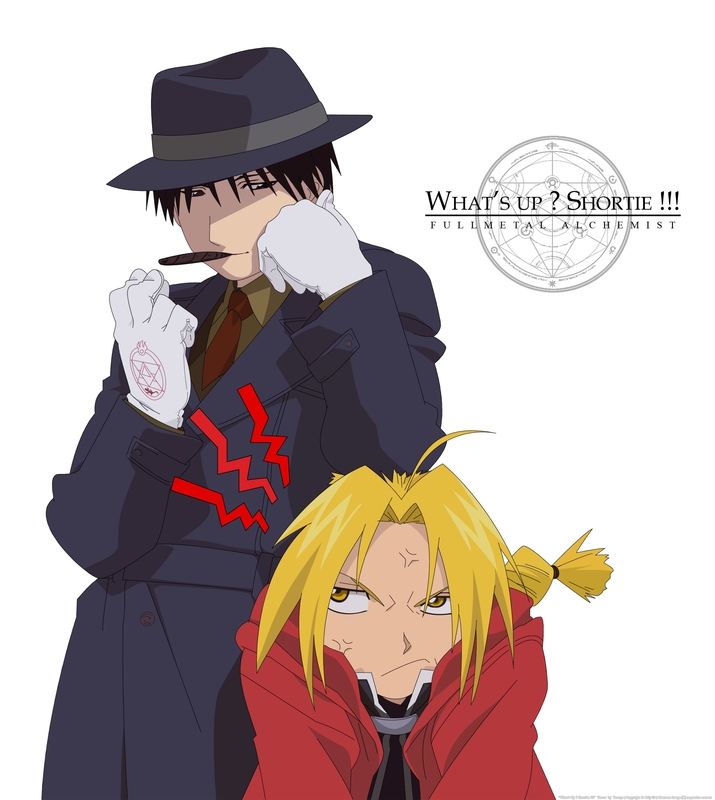 LoL...mustang looks real good X3..and ed ...has a funny look ...very nice vector! good job! I don't really have something to say ^_^' Gome! That's funny lol.Their poses are funny I mean lol.You did a good job in cleaning it up.I have this image of Ed yelling his head off at Roy saying "i'm NOT SHORT!!! "in my head as I look at this lol.Any ways good job! nice work on the vector tatsuya ^_^. i like the expression on the chars very cool ^_^"
Awesome vector, and pretty damn hilarious too. >>; Great work, Tatsuya. hurry up and wall it or i'll stalk you til you do it !! and the title ... so cute !! That just looks awesome O_o You've also chosen a very amusing scene to vector. Poor Ed XD And I gotta love the title XD Really great vector!! LO...oh this is soooo cute!!!! the expression on his face is preicless...LMAO...this title is very creative! and the vecotor is clean and neat! great work! omg!!! roy and ed! great job on the vector!